Yesterday I travelled down to Slipstones to meet up with Dan, Ned, Michele, Nick and Ben. 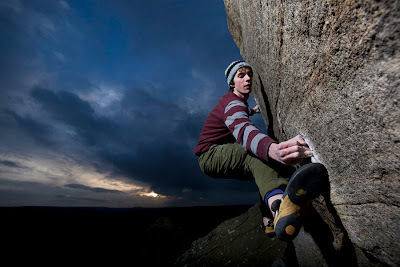 Dan was going to have another crack at Cypher, Ben Moon's three star 8b. He'd been on it last week and fallen off the good holds a couple of times, so I knew he'd do it if conditions were good, and the conditions were perfect. 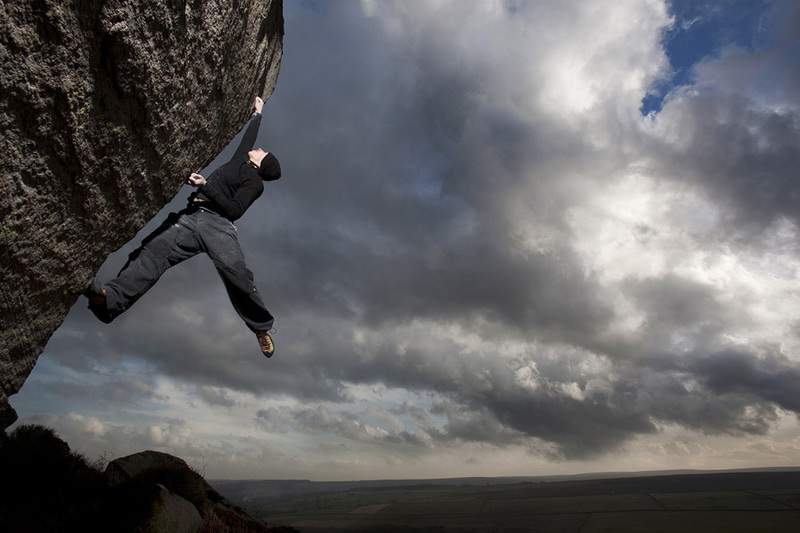 Sure enough, once he'd warmed up he almost got it on his first go, sticking to the good holds for just long enough to make me think he was home and dry before coming off. A couple of goes later and he was up. 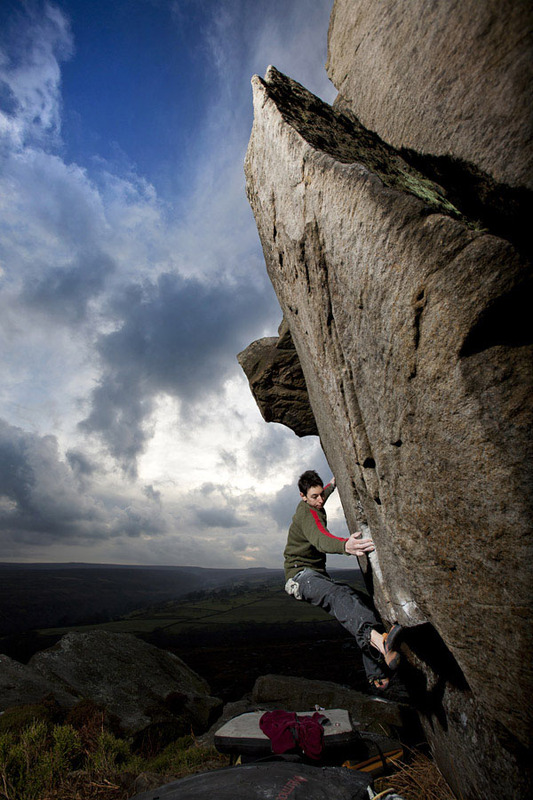 Nick was working Lay-By Arete, and it wasn't long before he got it. Entertaining. 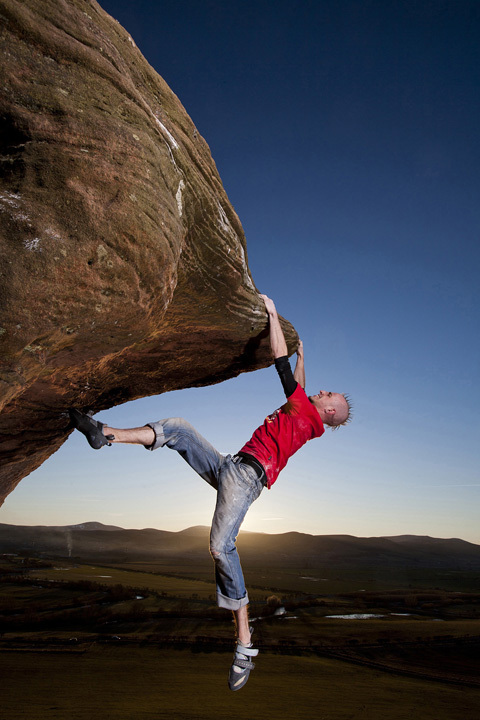 While there was a gap in the bad weather a couple of weeks ago, I met Chris Miele up at Cuddy's Cave. 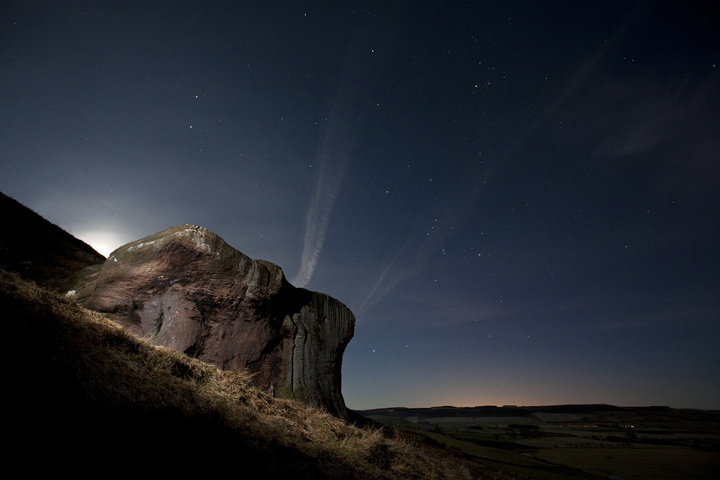 He'd recently found this lone outcrop just outside Wooler and got to work developing it. At first it's not that impressive, but the problems are great and it's in a beautiful location. After seeing a few pictures on the UKC website, I knew I had to get some photos of Chris on a couple of his problems there. The obvious line for photos is the steep traverse, 'Bepanthen Battle' 7a. It just looks fantastic! 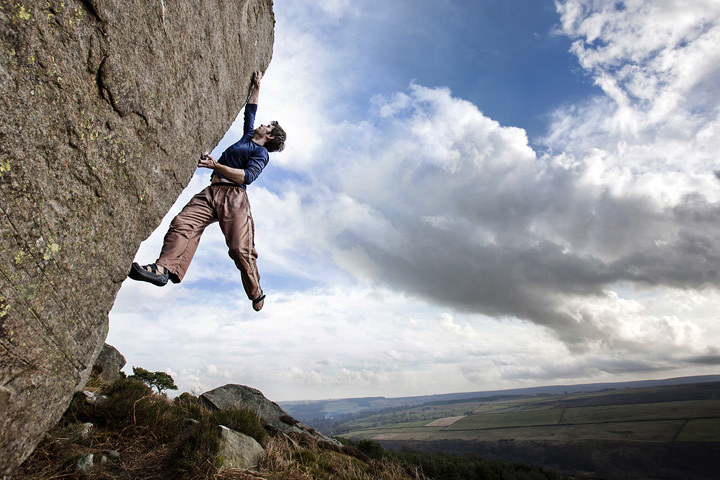 Chris is a great climber and he's really into doing a bit of exploring in the County, so I'm looking forward to tagging along on a couple of trips and getting a few more pictures.